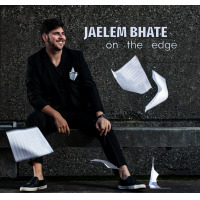 Jaelem Bhate is a conductor, composer, and bandleader from Vancouver, B.C. whose musical diversity has come to define his career. Equally comfortable in the jazz and classical worlds, he has been hailed as one of Canada’s most promising emerging artists. Jaelem obtained his Master of Music degree in Orchestral Conducting in May, 2019 from UBC in Vancouver, and holds a Bachelor’s degree in percussion performance also from UBC. He has maintained parallel studies in composition throughout his time as a student. As a composer, Jaelem has been praised for possessing “a personal and highly effective voice” (Canadian Music Center, 2018) and has written music for a wide array of ensembles and soloists. He founded and directs the 45th Ave Jazz Band, a 17-piece jazz orchestra that exclusively performs his compositions and was recently interviewed by CBC Radio 1 for his ensemble’s premiere of his original suite for Jazz Orchestra ‘The Nameless’ featuring the poetry of underrepresented, disadvantaged and discriminated against communities. His debut album ‘on the edge’ is set for release in 2019, featuring some of the best instrumentalists in Canada. His music was also accepted by the International Society of Jazz arrangers and composers as part of their call for scores, to presented at their 2019 conference in Colorado where he will work closely with Ron Miles, Christine Jensen, and other giants of the jazz community. Jaelem’s classical works have been performed on programs throughout Canada and the US, and his music was featured as part of the 2018 Jean Coulthard Readings, presented by the Vancouver Symphony Orchestra. Another original score will be featured as part of VSO’s 2019 iteration of the competition, and by the Victoria Symphony. Other notable performances and commissions include his upcoming premiere as part of the Sonic Boom Festival hosted by Vancouver Pro-Musica, 2 works for the Brazz jazz ensemble, and from Maestro Arthur Arnold for the 2018 PRISMA festival. Jaelem won the position of assistant conductor of the Vancouver Philharmonic, after a season serving as assistant conductor of the highly competitive 2018 National Academy Orchestra of Canada under Maestro Boris Brott. He has guest conducted at the International Society for Contemporary Music Festival, the Canadian Music Center New Music series, and the 2019 Pacific Rim International Music Festival. Jaelem has pursued his conducting studies at a number of professional masterclasses. These include the New York Conducting Institute in Manhattan studying with Paul Nadler of the MET Opera company, and the University of Oregon conducting masterclass with Maestro Neil Varon of the Eastman School. He was assistant conductor at the Pacific Regional International Summer Music Academy with Maestro Arthur Arnold of the Moscow Symphony Orchestra. He will be a conducting fellow at the Eastern Music Festival in July 2019 with Maestro Gerard Schwarz. More information is available at www.jaelembhate.com. All About Jazz musician pages are maintained by musicians, publicists and trusted members like you. Interested? Tell us why you would like to improve the Jaelem Bhate musician page.